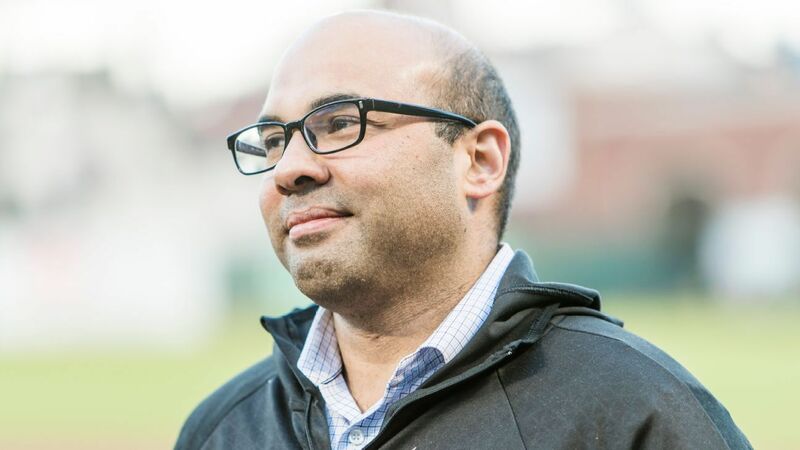 SAN FRANCISCO — Los Angeles Dodgers general manager Farhan Zaidi has accepted a job to head baseball operations for the Giants, according to ESPN and multiple reports. Zaidi’s Dodgers reached the World Series each of the past two seasons. Four years ago, the Canadian-born Zaidi departed his job as assistant GM of the Oakland Athletics to lead the Dodgers under Andrew Friedman. Zaidi earned his bachelor’s degree in economics from Massachusetts Institute of Technology in 1998 and a PhD in economics from the University of California at Berkeley in 2011. He is expected to have the flexibility to hire someone as GM under him. The Giants dismissed GM Bobby Evans in September. San Francisco went 73-89 in 2018 and went a majors-worst 5-21 in September. The San Francisco Chronicle first reported the hiring Tuesday night.